Essential oils have been in use throughout history. They are essentially aromatic essences derived from plants and herbs. They are not actually “oils,” but hydrophobic in nature — their molecules stick together and do not mix in water like oils. The process by which they are extracted from the plants is very tedious and often performed through distillation, in which the aromatic part or the essential oil is carefully separated from the plant. 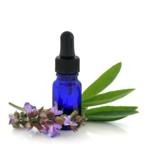 Essential oils are extremely volatile in nature and tend to evaporate at a rapid rate. For this reason, they should be preserved in tight containers and kept away from the sun and any other heat source. Dark colored bottles are the best forms of containers for preserving essential oils. Essential oils can be added to shampoos, soaps, massage oils, diffusers, and perfumes. They are used in aromatherapy to alleviate symptoms and provide relief. Herbalists and alternative medicine practitioners use them medicinally worldwide. They are also a healthier alternative to synthetic perfumes, which may contain harmful chemicals and compounds. Handling essential oils properly is important. Generally, any direct contact with skin should be avoided, as they are highly concentrated. Since they cannot be mixed in water, they are mostly diluted in carrier oils such as olive oil, almond oil, coconut oil, and jojoba oil. Depending on the carrier oil that is used, the essential oil blend can provide an added benefit as most carrier oils also have healing and nourishing properties. Begin by smelling different oils together to see if they blend well. Smell one of your favorite perfumes and try to determine which essential oils can be combined to duplicate the same scent. You can also find recipes for essential oil mixes according to their use. Keep in mind that each oil has its own distinct properties. For example, a chamomile essential oil will have a calming and relaxing effect, which can be used to diffuse anxiety and depression. As you continue to work with essential oils, you will soon come up with your own favorite blends. You can label each blend and mark the bottle with the ingredients to remember which oils were used so you can recreate them in the future. A good advice to remember when smelling oils is to keep a bag of coffee beans nearby. Each time you feel overwhelmed by a certain scent and feel as if you cannot distinguish between different oils, smell the coffee beans to restore your sense of smell. You can then continue smelling your selection of oils and creating different blends. Essential oils provide an aromatic value, and they are also great to relax or energize the mood. They are used in medicine and blended in perfumes, shampoos, and soaps to enhance their value as well. Creating different mixtures and blending them in soaps, face washes, scrubs, lotions, bath salts, and household products such as cleaning supplies is a wonderful way to make use of essential oils.